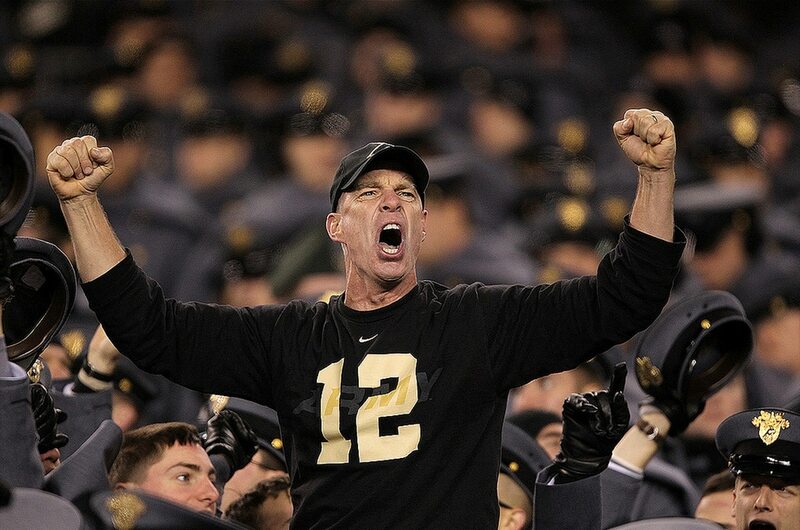 Ragsdale, known as "The Crazy Colonel" and a mainstay in the West Point football and basketball stands, has been selected as a member of the 2014 class of the Fan Hall of Fame, one of three lucky fanatics to earn a spot in the ESPN-backed entity. But there hasn't been a call. He found out about it just like everybody else. "I still haven't gotten any sort of official notification," Ragsdale said Friday in a brief interview. "Somebody just saw it on the website, that I'd made the 2014 class. ... It's kind of crazy." RELATED: More on "The Crazy Colonel"
Ragsdale, now with the Defense Advanced Research Projects Agency, was one of 10 finalists for this year's class. An online vote that wrapped up Wednesday chose the three inductees for the hall, established in 2012. The retired colonel thanked members the Army faithful for their support, and while he said he was honored and humbled, he's hoping it won't be the only highlight of his week. "I think this acknowledgement ... just shows how much the Army fans are looking to get behind their team and get a victory here in Baltimore tomorrow," he said as he prepared for the annual Army-Navy game. "All the support for me, I felt, was really more support for the program, and the anticipation we all have that we're going to find victory here tomorrow. That's what really this is all about."